With the confirmation of Senator John Kerry to Secretary of State, the state of Massachusetts had an open Senate seat. William 'Mo' Cowan is Governor Deval Patrick's choice to serve as the interim US senator until the successor to John Kerry is voted in June 25 during a special election. 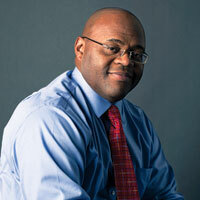 Cown, 43, was first hired by Patrick as his legal counsel in 2009 and was then promoted to chief of staff in 2010. Last November, Cowan stepped down from the $144,000 a year job. Cowan is a North Carolina native and Duke University graduate who came to Boston to attend Northeastern University Law School in the early 1990s - and never left the region. One of the city’s leading African-American lawyers, Cowan is a former partner in the politically connected law firm of Mintz Levin. Cowan will become the first African-American to represent Massachusetts in the Senate since Edward Brooke held the seat as a Republican from 1966 to 1978. Patrick and Cowan built up a strong friendship over the years, in part, because both men have risen from difficult childhoods to prominence in Boston and in the state. Patrick also served as a mentor to Cowan when both were practicing lawyers. Cowan has also mentored many black professionals and has served as a talent scout frequently called upon to help diversify the city’s institutions. He helped Governor Mitt Romney, who faced criticism for the lack of diversity in his judicial picks, identifying lawyers of color who would make good judges. He recruited black lawyers for the law firm Mintz Levin and for Middlesex District Attorney Gerard T. Leone Jr.
Cowan is a native of Yadkinville, N.C., a town of 2,200 about 25 miles west of Winston-Salem, where he grew up on a street full of family. Cowan’s father died when he was 16 years old, leaving his mother to raise him and his two sisters on little more than a minimum wage. He was the first from his high school, Forbush High School, to attend Duke, one of the nation’s premier colleges. Cowan will join newly elected Senator Elizabeth Warren in representation of Massachusett. A primary election is set for April 30 to elect a Senator to complete Kerry's remaining term. Of course, I'm sure you will hear the cries about this being an "Affirmative Action" since both Gov. Patrick and Cowan are both Black. Also, what does it say about the future of Black politicians since there are NO elected Black politicians in the Senate? The selection of Cowan puts two Black men on the senate (Tim Scott, R - SC), but both were appointed by the Governors of their home states.